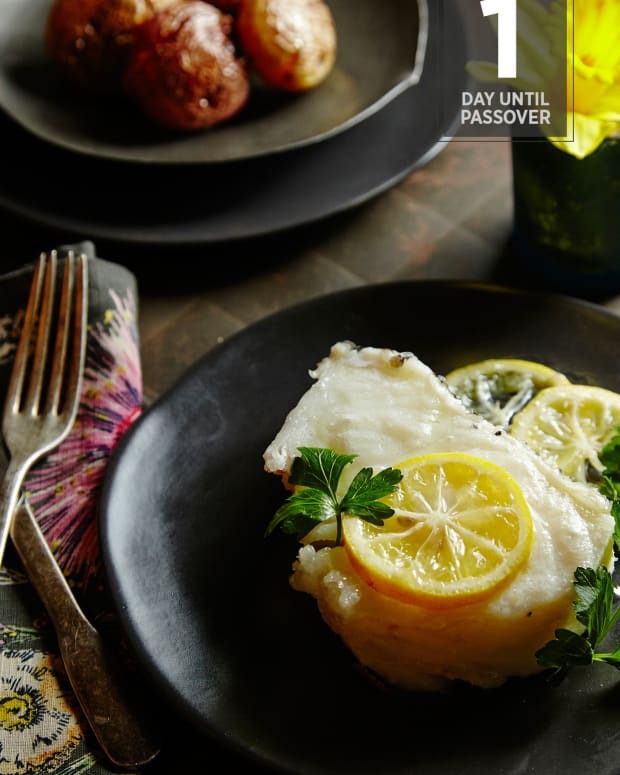 We first discoverd fish in parchment over a year ago as a quick and easy dinner option. 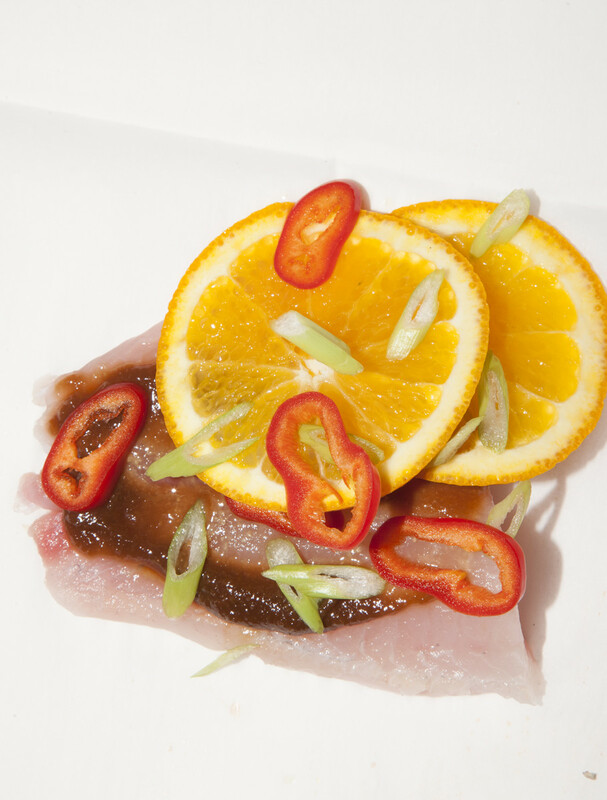 Since then, it has become my favorite way to prepare fish. 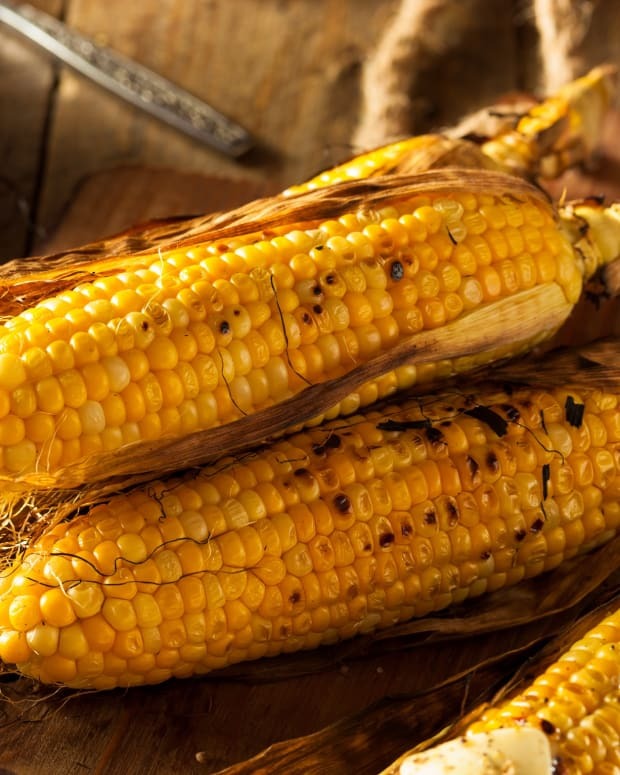 It is so simple and nutritious, yet the results are quite exquisite. 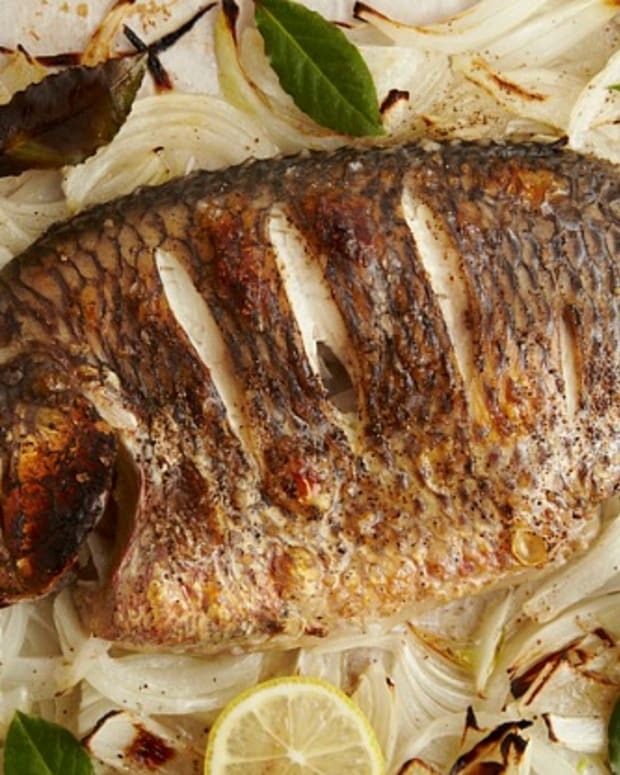 Flaky, tender fish steams and cooks just right with whatever flavors you choose to use. 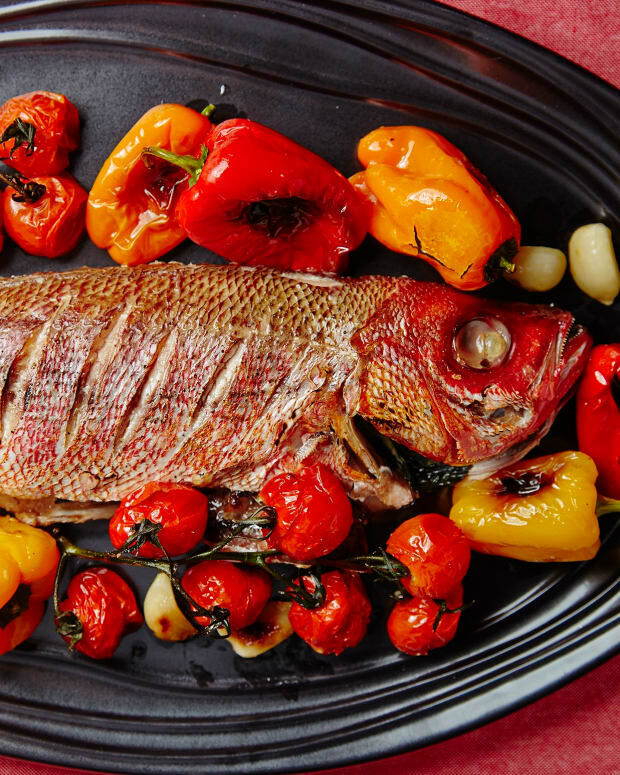 The spices, citrus, and herbs you place in the parchment perfume the fish with flavor and yields truly glorious results without any of the hassle one would associate with cooking the perfect fish. Below I have shared my latest favorite flavor combinations, but feel free to come up with your own. 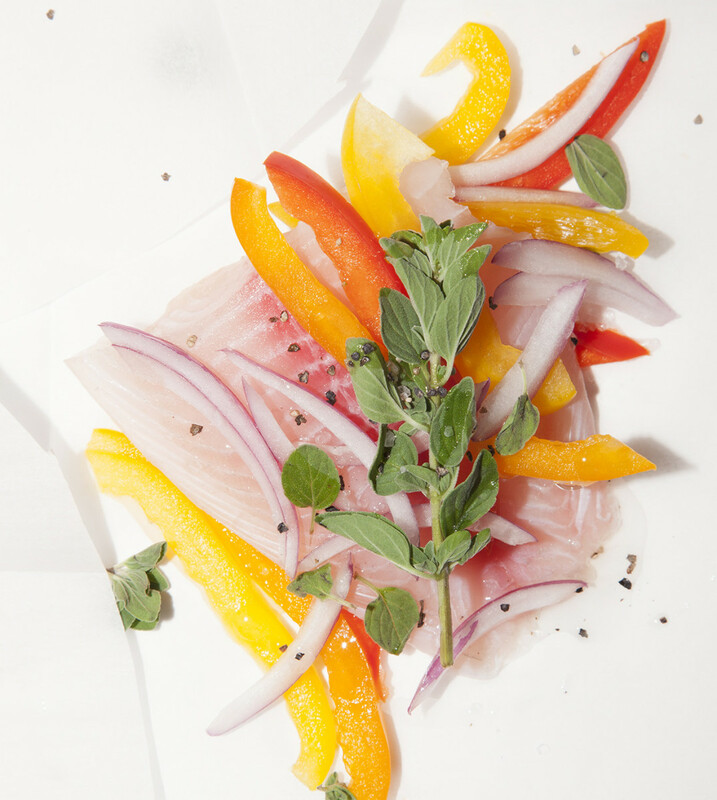 The fish can be prepped a day in advance: simply wrap the fish in parchment, cover, refrigerate, bring to room temperature and cook according to recipe instructions. 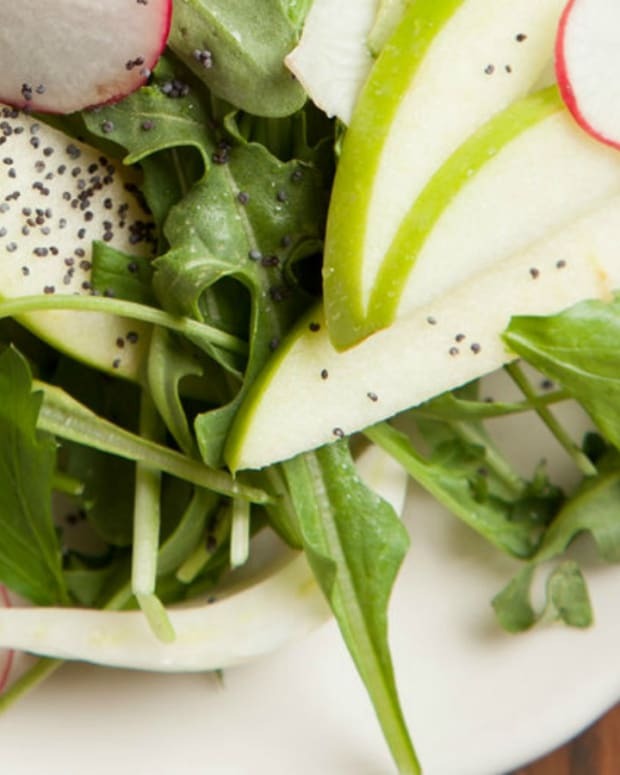 You will love serving this dish; it is so much fun and really makes an impact. Step 1 Cut round circles of parchment. Place fish and spices/toppings on one half of the circle. Step 2 Fold the parchment over the fish and crumple edges to seal in fish. Step 3 Bake according to recipe instructions. Serve immediately. 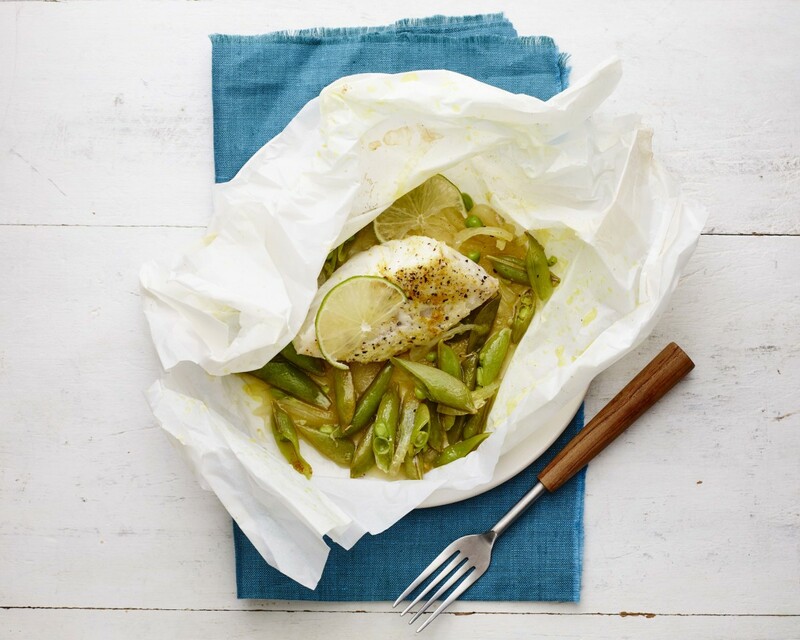 Allow guests to open up parchment packets to get the full impact of the aroma and presentation. 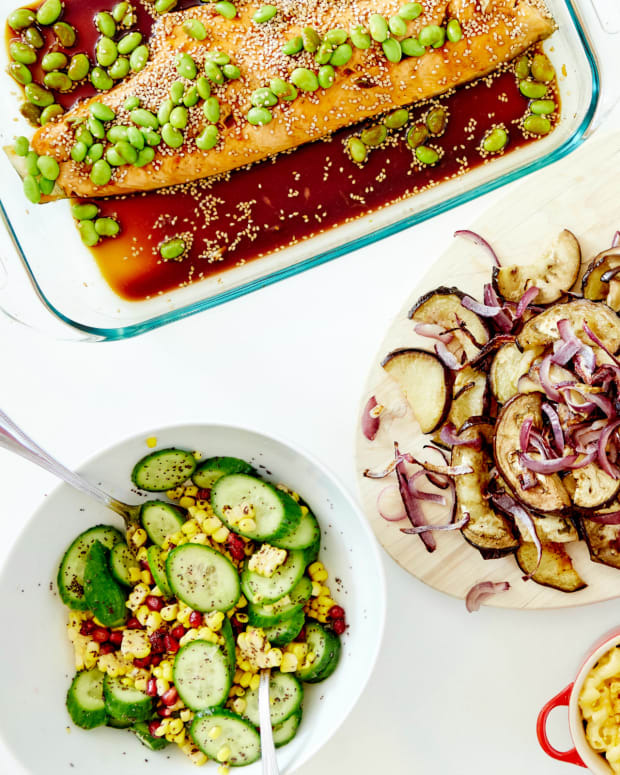 This fish can also be prepped a day in advance, so try one this week and the other next week. 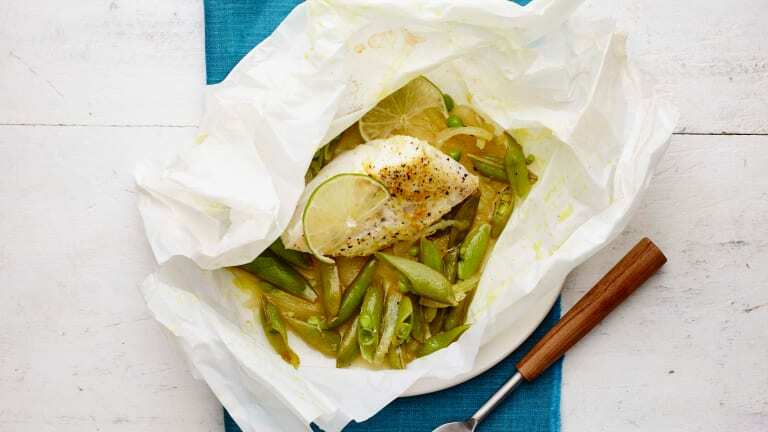 Bake these fish fillets wrapped in parchment paper to keep in the flavor. Serve still wrapped and let your guests enjoy the experience of opening their own packets. 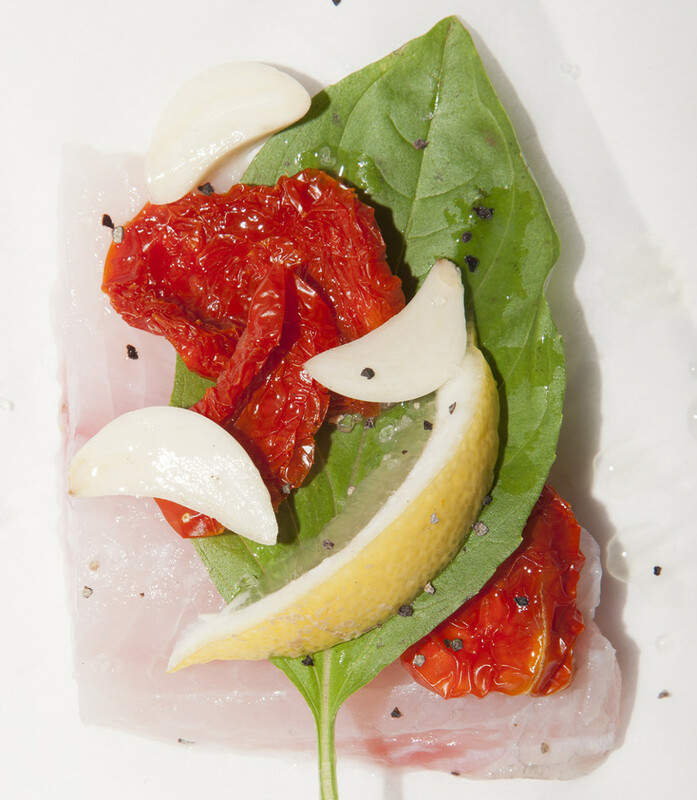 Cooking in parchment is a healthy and easy way to cook fish that is perfectly portioned for everyone.